Everyone loves a fun children's birthday party! In Hollywood the kids get more than just hot dogs and homemade cupcakes! From $100,000 extravagant affairs -- when Suri Cruise turned two, themed and catered events like that of Stella McDermott's third birthday, to Cruz Beckham's costume party in Beverly Hills -- here's your invitation into the birthday bashes of Tinseltown's tots, courtesy of Celebrity Baby Scoop. 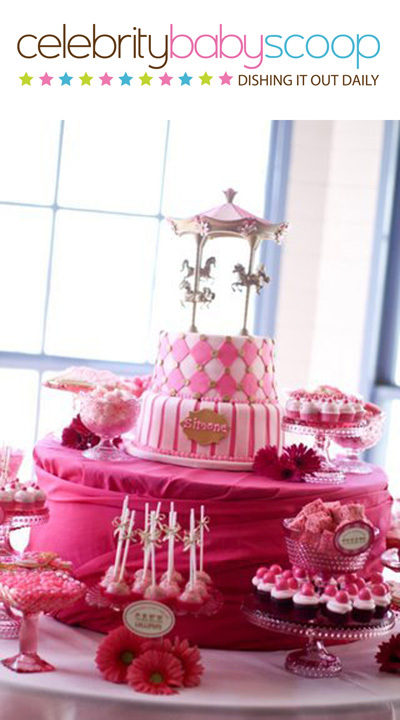 One of the most celebrated tots in Hollywood, Suri Cruise, is well-known for her extravagant birthday parties. Most people don't spend thousands on their birthday parties in a lifetime, but Suri isn't most people. Her second birthday party made headline news when parents Tom Cruise and Katie Holmes spent a reported $100,000 on the event. The theme was butterflies and the lavish cake had an excessive $5,000 price tag alone! Catering set back the famous parents $45,000 and the sweets didn't end with the cake. Reportedly, $230 was doled out for cupcakes from LA's Sprinkles bakery as well. Fast forward a few years where we spotted the mini fashionista celebrating her fifth birthday with a lavish tea party alongside mom and dad at their Beverly Hills mansion last April. Wearing a pink dress and turquoise shades, Suri -- famous for her fashionable duds, heels and makeup -- sat at the head of the table, surrounded by siblings Bella, then 18, and Connor, then 16, and other guests. Mama Katie talked about the party plans a few weeks prior to the lavish event. "This is my favorite day of the year," the Dawson's Creek alum said. "So we're gonna have a little tea party, and I like to girl it up."